NetTalk Duo2, the Newest 2017 Version, is the worst piece of garbage equipment you could get, while also getting Ripped-Off at the same time. Their installation is an excruciating exercise in futility and frustration. They need to connect to your Cable Router and spend you time messing with its settings which at the end don’t accomplish anything. They sent 3 replacement units, one was worse than another, service never worked. They then blamed it on the Modem & Router. Their pricing is a major Rip-Off, as they pick certain phone numbers as “Heavy Service” are numbers, so can they charge you double for calls to those numbers thereby depleting your “allowance”, which is NOT disclosed when you sign up. They fail to tell you that the Monthly service you get with an account is limited to so many minutes and get cut down by their Double Billing for the High-Service areas, thereby forcing you to pay more money if you want to continue using the service for the rest of the month. After getting tired of this useless, insulting lousy service and the fee Rip-Offs: 1. I got a Magic Jack unit 2. Plugged it in – no Modem/Router changes required 3. In minutes had far better sound quality than ever before with NetTalk 4. Have no more Rip-Off attempts based on service areas. The moral of the story is –> Don’t bother with these con-artists = rather get a working service from Magic Jack and get back to business. NetTalk Duo2, the Newest 2017 Version, is the worst piece of garbage equipment you could get, while also getting Ripped-Off at the same time. Their installation is an excruciating exercise in futility and frustration. They need to connect to your Cable Router and spend you time messing with its settings which at the end don’t accomplish anything. They sent 3 replacement units, one was worse than another, service never worked. They then blamed it on the Modem & Router. Their pricing is a major Rip-Off, as they pick certain phone numbers as “Heavy Service” are numbers, so can they charge you double for calls to those numbers thereby depleting your “allowance”, which is NOT disclosed when you sign up. They fail to tell you that the Monthly service you get with an account is limited to so many minutes and get cut down by their Double Billing for the High-Service areas, thereby forcing you to pay more money if you want to continue using the service for the rest of the month. 4. Have no more Rip-Off attempts based on service areas. The moral of the story is –> Don’t bother with these con-artists = rather get a working service from Magic Jack and get back to business. When purchased originally in 2013 they offered telephone assistance which was v great service. They have now removed this facility in favor of either on-line ‘chat’ or submit a ‘ticket’.Both methods are a complete waste of time – they never respond to a ticket and their ‘chat’ waiting times are a joke (30+ people waiting for an operative! ).My advice – DO NOT BUY NETTALK. Cons: Really Bad overall experience with Nettalk. NetTalk offers a variety of VoIP products and solutions. In doing so, the provider is able to fit a number of different users’ needs. In regards to products, the provider offers DUO devices—which are low cost phone devices enabling VoIP calling—and Videophone (with full set of features including 5 party conferencing, call record, contact list, call history, redial, hold, do not disturb, etc.). DUO devices offer a free year of Basic Calling service plan with purchase. Aside from these products, users can select from a number of services including number transferring, unlimited SMS text plan, netTalk (beta), free conference calling, and call plans. NetTalk’s call plans vary in pricing, function, and included features. 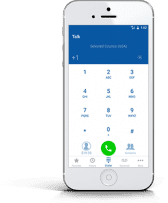 The Basic Call Plan features free calling to the US and Canada, free calling DUO-to-DUO, phone number, live technical support, voicemail, call waiting, caller ID, 3-way calling, 411, e-911, and more standard features. The basic plan starts as low as $2.50 per month ($29.95 flat rate each additional year, plus taxes). Additionally, the provider offers Enhanced Calling Plans—North America Add On, which includes calls to the US, Canada, Puerto Rico, and Mexico as well as all the standard features included in the basic plan; International Add On, which includes calls to 60 countries and all the standard features included in the basic plan. The North America add on starts as low as $5.85 per month ($70 flat rate per year, plus taxes). The International add on starts as low as $10.00 per month ($120 flat rate per year, plus taxes). Aside from plans, netTalk offers low International rates. Also, netTalk offers a free smartphone app. In regards to customer service, the provider offers a verity of support resources including FAQs, Tech Tips, DUO Setup, DUO WiFi Setup, Help Videos, Downloads, Speed Test, and Order Tracking. What Do You Think of netTALK?